Dallas’s premier upscale neighborhood restaurant is celebrating its 25th year serving traditional Italian food to its neighbors. 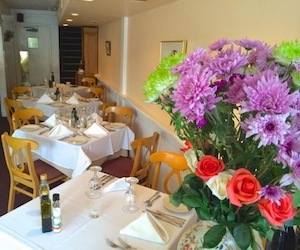 Adelmo’s Ristorante, offering an atmosphere of intimacy, elegance, and graciousness, is celebrating 25 years of serving multi-regional Italian food of the highest quality. You won’t find “trendy” on the menu. You won’t find tofu, Asian fusion, or gluten-free. What you will find, in addition to an extensive wine list, are traditional veal, seafood, chicken, and pasta dishes from the distinctive regions of Italy. The meals are crafted from the highest quality ingredients and prepared and served in generous portions by a loyal, skilled, and gracious staff. The tab is affordable, with the majority of the entrées priced in the mid-$20s. 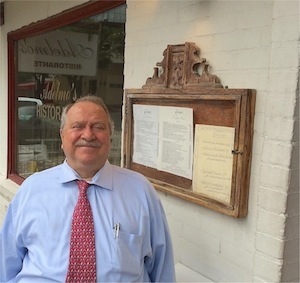 Adelmo Banchetti, along with his wife, son, daughter, and a small group of loyal employees, has enjoyed consistent success with his upscale neighborhood Italian restaurant since it opened in 1989. That is no small achievement in the hyper-competitive eatery business that typically booms and busts, being challenged to serve capricious consumers as they hop from one trendy restaurant to the next. It all began when Adelmo left Florence, Italy, at 16 and moved to Belgium to begin a career in the restaurant business. For the next 10 years, beginning as a bus boy in Brussels, he went to England, to cruise ships, to Cornell University in Ithaca, NY, for formal training, to Atlanta with the Omni Corp, and finally to Dallas in 1976. After working at some of the best restaurants in Dallas, including The Mansion on Turtle Creek, he became part owner of and managed a restaurant named Villa Buggate which subsequently burned down on New Year’s Day 1980. Undeterred, Adelmo then managed the Pyramid Room at the Fairmont and the Beau Nash Restaurant at the Crescent Hotel, and finally opened Adelmo’s Ristorante at the current location in 1989. Come and join the neighbors for a delicious dinner in an elegantly cozy upscale Italian restaurant, served by waiters who like their jobs and their boss and want to help you enjoy your entire dining experience. Where an extensive wine list complements the atmosphere of intimacy and relaxed graciousness made even more enticing by affordable prices.